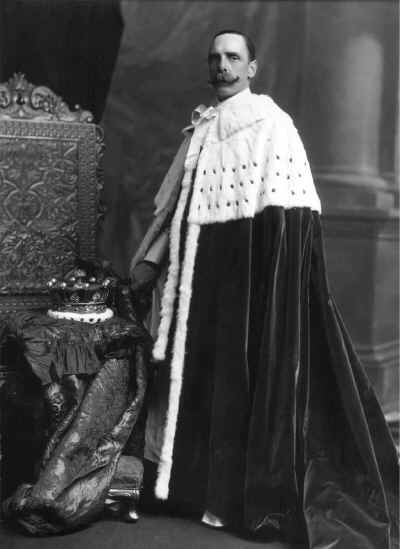 Archibald Fitzroy George Hay, 13th Earl of Kinnoull (1855-1916). Sitter: Archibald Fitzroy George Hay, 13th Earl of Kinnoull (1855-1916). Furniture & Props: Painted backdrop; Jacobean style chair. Biog: Who's Who; Burke's Peerage.